Perhaps Australia’s most iconic trip along the tarmac, the Great Ocean Road is renowned for a reason. It’s a fairly short route, but it’s a journey packed with wonder: first off there’s surf beaches, koalas and kangaroos aplenty. 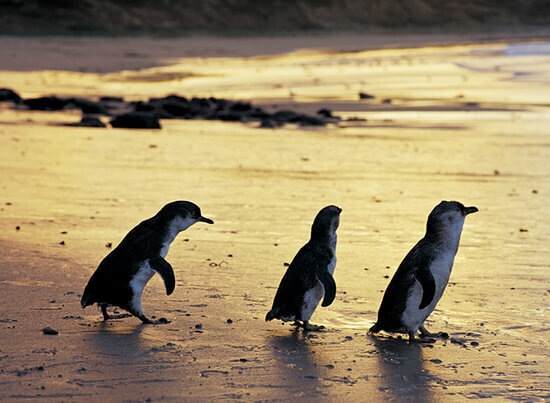 Combine that with the majesty of the Twelve Apostles; the thrill of spotting southern right whales; the adrenaline-rush that comes with zip-lining the Otway Fly Treetop Walk; and the maritime heritage and delectable cuisine of Port Fairy. Wildlife lovers will be spoilt for choice on this unrivalled road trip. 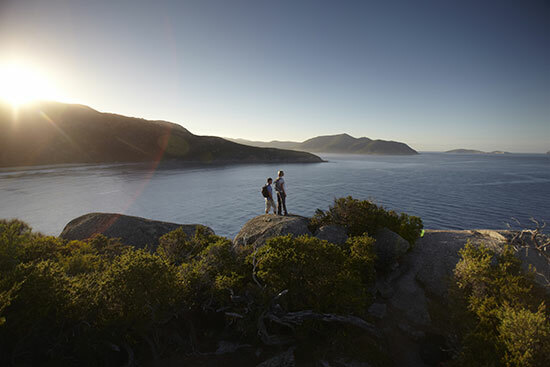 They’ll be penguins on Phillip Island – not to mention dolphins and koalas on the route from Melbourne to this famous isle – then drive along the coast to mainland Australia’s southernmost point, Wilsons Prom. The ‘Prom’ is beloved by local and offers spectacular scenery with huge granite mountains, open forest and sweeping beaches. 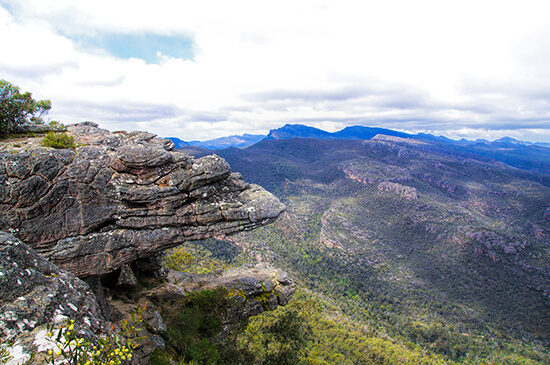 You’re almost guaranteed to spot a wombat as well as other wildlife including kangaroos, emus and echidnas. Ready to get your water sports on? Hit the road bound for Narooma, famous for its great surf, before spotting cetaceans in Jervis Bay. Finish off your trip by motoring along the precarious Sea Cliff Bridge to Sydney – a truly thrilling end to an incredible route. Just under four hours in four days? You’d be right in thinking the South East Touring Route is a pretty laid-back affair, but that’s the best way to discover the shortest route on our list. Navigate the rolling hills of the Yarra Valley where you can stop for an evening of high-end cuisine and accompanying wines; see Phillip Island’s famous penguins; and explore the inland wineries – not to mention the olive, cheese and honey farms – of the Mornington Peninsula. Need to work off some of that indulgent grub? This region is prime for hiking, horse-riding and cycling too. Why is this road trip so great you ask? Well, it’s sort of two itineraries rolled into one. It incorporates the aforementioned highlights of the Great Ocean Road before stretching further into the grandeur of the Grampians National Park and the gold-rush town of Ballarat. In these fantastic locations you’ll soak up heart-pounding cascades and glittering night skies, fascinating Aboriginal culture and historic luxury in equal measure. Ready to book your road trip holiday to Melbourne? 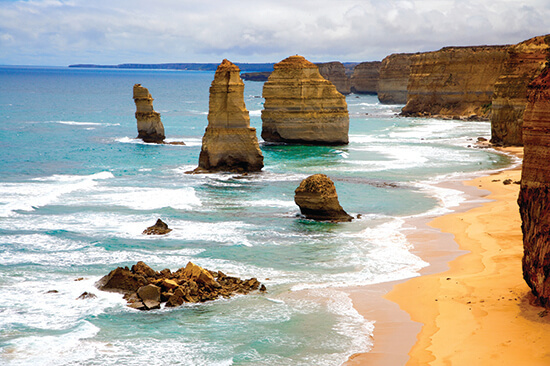 Speak to one of our Travel Experts about travelling to Victoria today, or to find out more about our tailor-made Great Ocean Road or Sydney to Melbourne Coastal Drive Holidays.